On June 1, 2017 at about 2:58 p.m., a silver 2005 BMW was stopped facing north in the inside lane of Bunny Trail attempting to turn left to travel west on Stan Schlueter Loop. A Maroon 2006 GMC Envoy was stopped in the northbound middle lane, also turning left to go west on Stan Schlueter Loop. A Yellow 2006 Nissan Xterra SUV was traveling east in the outside lane of Stan Schlueter Loop. According to witnesses, the Nissan ran the solid red light as the BMW and GMC entered the intersection. The front of the Nissan struck the driver’s side door area of the BMW, causing it to spin and strike the driver side of the GMC SUV. The Nissan and BMW sustained major damage. The driver of the BMW was initially transported to Seton Medical Center of Harker Heights by Killeen EMS. She was subsequently flown to Baylor Scott and White Hospital in Temple, Texas, where she succumbed to her injuries and was pronounced deceased by medical staff at 5:22pm. The deceased is identified as 23 year-old Maria Clarissa Aro Tabonares of Killeen. The crash continues to be investigated by our Traffic Unit. Additional information will be released as it becomes available. UPDATE: The deceased 38 year old male has been identified as Antwan Devon Garland of Killeen. Killeen Police investigate fatal crash E. Veterans Memorial Blvd. Officers responded to a 911 call about a crash in the 5900 block of E. Veterans Memorial Blvd., which involved a white Ford van and a red Honda Civic Thursday, November 24, 2016, just before 3:00am. The preliminary investigation revealed that the 2005 Ford van was traveling westbound on E. Veterans Memorial Blvd and the 2011 Honda Civic was traveling eastbound on E. Veterans Memorial Blvd. The Civic crossed the center lane into the path of the van causing the vehicles to collide in an offset head on manner. The 38 year old male driver of the Civic was pronounced deceased at the scene by Justice of the Peace Garland Potvin at 3:42 am. Justice of the Peace Garland Potvin ordered an autopsy to be performed at the Southwestern Institute of Forensic Sciences in Dallas. The driver of the van was treated at the scene for minor injuries. This crash continues to be investigated and information will be released as it becomes available. Residents who reside at the Twin Creek Apts and 56th Street West may return to their homes. Residents of 58th Street are still not clear. KPD and KFD responded to a major crash on Friday, August 12, 2016, at 4:20 am at the Mickeys Convenience Store located at 4415 E VMB. Upon the officers arrival they found a fuel tanker and a SUV on fire. Firefighters immediately attempted to contain the fire and officers began an evacuation process within immediate area. The preliminary investigation revealed that the fuel tanker was refueling the gas pumps, when an SUV hit the tanker, causing a fire and explosion. The fire caused major damage to the convenience store, a Killeen fire truck and six additional vehicles. One casualty has been confirmed and no other injuries were reported. The name has been withheld pending notification of next of kin. This case continues to be investigated and more information will be released had it becomes available. Killeen Police investigate early morning fatal motorcycle crash on Martin Luther King Jr. Blvd. Officers responded to the area of Monte Carlo Lane and MLK Blvd at 1:12am, after receiving a 911 call of a crash in the area. Officers arrived and located a 2006 Suzuki motorcycle and a 2011 Ford Mustang in the ditch on the east side of the MLK Blvd. The preliminary investigation revealed that the Mustang and the motorcycle were traveling southbound on MLK Blvd when the Mustang collided with the rear end of the motorcycle, causing both vehicles to cross the northbound lanes, coming to a rest in a ditch on east side of the roadway. The motorcycle rider was immediately transported by ambulance to the Carl R. Darnall Army Medical Center in critical condition. Thomas James Reyes, a 28 year old Fort Hood soldier, succumbed to his injuries and was pronounced deceased by CRDAMC medical authorities at 2:01am. Justice of the Peace Garland Potvin ordered an autopsy to be performed at the Southwestern Institute of Forensic Sciences in Dallas. Alcohol is believed to be a contributing factor and charges are pending as the Killeen Police Department Traffic Unit continues to investigate this crash. Information will be released as it becomes available. Killeen Police investigate early morning crash that sends two people to the hospital. Officers responded to the 2800 block of S. Fort Hood St. at 1:55am, on May 25, 2015, after receiving a 911 call telling them about a pedestrian getting hit by a vehicle. Upon the officer’s arrival they located two females who had been hit by a vehicle in the 2800 block of S. Fort Hood St. Witnesses told the officer that a 28 year old female was crossing from the west side of the roadway to the east side and as she was crossing on foot, a tan midsize vehicle traveling in the outside lane, struck the female knocking her to the ground; the vehicle continued traveling southbound, fleeing the area. A female who was inside a restaurant, heard the witnesses and went outside to assist the injured female, as the nurse was assisting the victim, a Honda that was traveling southbound in the inside lane struck both females. The nurse was struck knocking her away from the other female and the first female victim was run over by vehicle. UPDATE- The female who was crossing the roadway and was struck twice, Kyesha Lashell Harris-Foster, succumbed to her injuries from the crash and was pronounced deceased at Baylor Scott & White Hospital on Saturday, July 25, 2015, at 10:12am, by Justice of the Peace Barfield. There will not be an autopsy ordered. The KPD Traffic Unit Investigators continue to investigate this crash and advised the tan midsized vehicle that fled the scene will be missing the drive’s side mirror and have damage to the front left of the vehicle. This vehicle has not been located. Anyone who has information about the whereabouts of the suspect vehicle or information about the driver is asked to contact Crime Stoppers at 254-526-TIPS (8477). You can also go online anonymously at www.bellcountycrimestoppers.com or text BELLCO along with the tip to 274637. Text HELP for help with the tip to 274637 or text STOP to stop the tip to 274637, message and data rates may apply. All information is confidential and if your tip leads to the arrest of the person responsible for this crime you could be eligible for a reward up to $1,000 in cash. The Killeen Police Department Traffic Unit investigates an early morning fatal crash on Veteran’s Memorial Blvd. Officers responded to the area of Veteran’s Memorial Blvd and W.S. Young Dr. at 12:47am, on Saturday, June 27, 2015, after receiving 911 calls about a male who had been hit by a vehicle. Upon the officers arrival they located an injured male who had been involved in the crash. Officers were told by witnesses that the 26 year old male was riding his bicycle southbound on W.S. Young Dr. and a black 2003 Infinity was traveling eastbound in the outside lane of Veteran’s Memorial Blvd. Witnesses said the male on the bicycle failed to stop at the red light and rode into the intersection in front of the oncoming Infinity, causing the vehicle to collide with the bicycle rider. After first responder’s arrival, the male was airlifted to Baylor Scott & White Hospital with life threatening injuries. Michael David Carrasco, a Fort Hood soldier, succumbed to his injuries and was pronounced deceased at 9:52am, by Justice of the Peace David Barfield. There will be no charges filed on the driver of the Infinity. 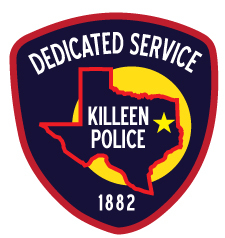 The Killeen Police Department is investigating a fatal auto pedestrian crash on Fort Hood St.
Officers responded to 911 calls at 9:50pm, on Friday, June 5, 2015, telling them a person had been hit by a vehicle in the 1300 block of S. Fort Hood St. Upon the officers arrival they located a 65 year old male lying in the roadway. The male was immediately airlifted to Baylor Scott & White Hospital with life threatening injuries. The preliminary report indicates the male was attempting to cross Fort Hood Street from the west side to the east side of the roadway. As he was crossing a black 2011 Mazda 6 that was traveling southbound in the inside lane truck the male. Bahri Greci was pronounced deceased at 12:32am on June 6, 2015 by Justice of the Peace Don Engleking; there was no autopsy ordered. Officers responded to the 8400 block of South Fort Hood St. today at 4:18am, after receiving numerous 911 calls in reference to a crash. As the officers were responding, they were told one of the vehicles had caught fire and was fully engulfed with the driver still inside. Officers arrived and found a 2008 white Chevy Malibu that was in the ditch and occupied by a female driver and a teal colored 1998 Chevy Lumina on fire in the median; because the Lumina was fully engulfed in flames, officers were unable to get to the driver. Once the fire was distinguished, it was learned that the occupant was unable to get out of the vehicle. The driver was pronounced deceased by Justice of the Peace Garland Potvin at 5:27am and ordered an autopsy to be performed at the Southwestern Institute of Forensic Sciences in Dallas. The preliminary investigation revealed that the Chevy Lumina was traveling northbound on South Fort Hood St. in the southbound inside lane and the Chevy Malibu was traveling southbound also in the inside lane when the two vehicles collided head on in the 8400 block. The Lumina came to rest in the median east of the roadway and caught fire, the Malibu came to rest in the ditch area west of the roadway. The female driver of the Malibu was airlifted to Baylor Scott & White Memorial Hospital in critical condition. The driver of the Lumina has not been identified at this time and the name of the victim at Baylor Scott & White has been withheld due to her condition. Killeen Police are investigating a rollover crash on E. Rancier last night. Officers responded to the 2900 block of E. Rancier at 9:05pm, after receiving several 911 calls telling them a vehicle had crashed. Upon the officers arrival they learned a white Honda Civic, occupied by two males, was traveling eastbound in the inside lane of E. Rancier. The driver lost control and left the roadway on the south side where the vehicle struck a utility pole. After knocking the utility pole down, the vehicle continued sliding and began overturning before coming to rest on its roof. The driver was ejected from the vehicle and was airlifted to Scott & White Memorial Hospital with severe injuries. The passenger was treated by EMS but did not wish to be transported to the hospital. Witnesses told officers that the white Honda Civic was racing a black vehicle at the time of the crash. Officer with the KPD Traffic Unit continue to investigate this crash and information will be released as it becomes available.